On Wednesday afternoon, quite by chance, I went to a place in London that I have long wanted to go and really should have gone before. 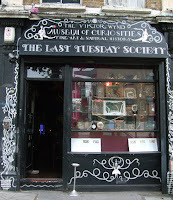 The place was the home of the Last Tuesday Society and the Viktor Wynd Museum of Curiosities in Mare St, London E8. It is one of the weirdest places I have ever seen – and believe me I have seen some weird places. The reason I was wandering London’s East End before coming across the museum was sadly a serious one. I had gone to visit an old friend who was in a hospice, but who I had lost touch with until I was told that she was ill. I spent some time with her, glad to have come but ashamed I had not visited her sooner. When I left, her husband offered to show me to the bus stop. It was very kind of him, but as I had got lost on the way there I was grateful. 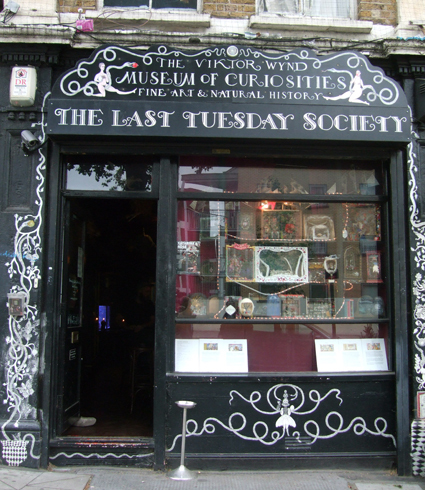 Glancing across the road from the stop, I saw the Last Tuesday Society sign and couldn’t help exclaiming that I’d long wanted to visit the place. Again, very kindly, my guide offered to take me around it. Despite feeling guilty for keeping him away from his wife’s bedside, I let him. ...presents an incoherent vision of the world displayed through wonder enclosed within a tiny space, no attempt is made at classification and comprehensiveness, instead the museum focuses on the pre-enlightenment origins of the museum as Wunderkabinett – a mirror to a world so suffused with miracles and beauty that any attempt at categorization is bound to fail. 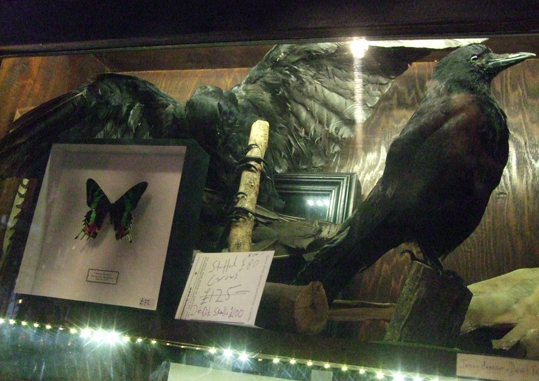 Crowded into cabinets, on shelves and hanging from the ceiling are all sorts of strange things. 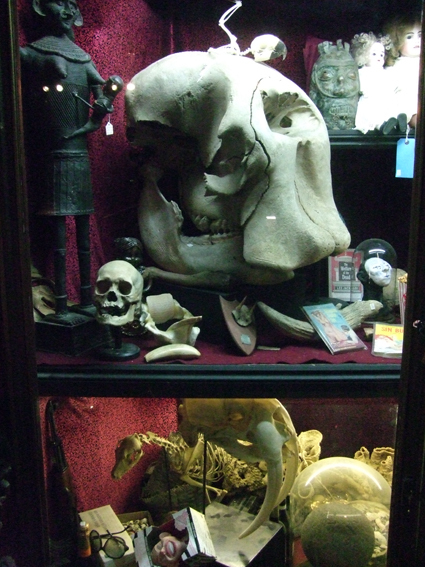 There are skeletons and skulls, mummified animals with extra heads or limbs, artfully crafted mythical creatures and curiosities including a giant hairball and some dinosaur poo. Alongside these are artwork and ephemera relating to the bright young dandy Stephen Tennant and other colourful characters, including clothes and pictures. 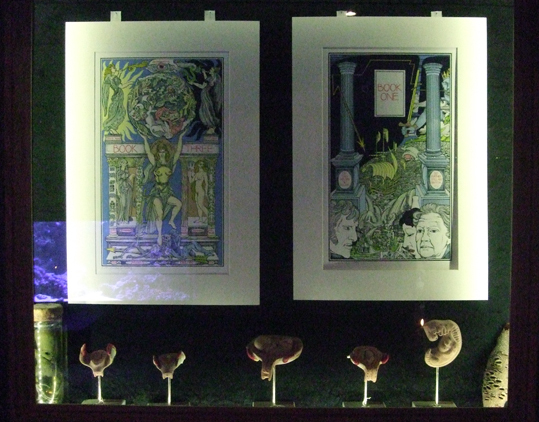 The museum also contains a large number of items relating to witchcraft, magic and the occult, not least of which is a big collection of paintings and drawings by occultist Austin Osman Spare. It costs £5 to go around the museum, which is in the basement. On the ground floor is a bar and cafe, which is open from Wednesday to Sunday from 11am-10:30pm serving cocktails, and a gallery at the back, sponsored by Hendrick’s gin. It currently has an exhibition of pictures by Spare on display. 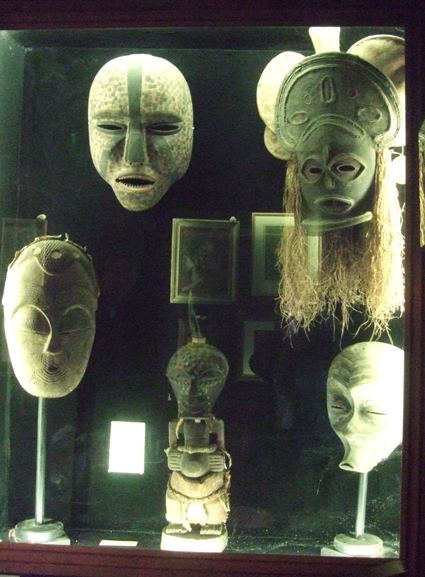 There’s plenty of weirdness on the walls of the cafe too, so you can just pop in for a drink and enjoy the atmosphere without the extra expense of going round the museum. Oh and if you fancy a rather peculiar private party you can hire a table in the museum, including one that is wonderfully called The Devil’s Table and costs £45 for an evening. 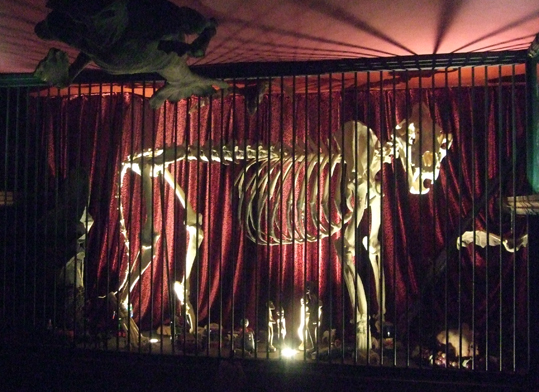 It hosts lectures, storytelling evenings and workshops on weird and wonderful topics, including regular lessons on how to stuff animals, arranged via the British Academy of Taxidermy. I’ve frequently listed Last Tuesday Society talks on the events page of my blog as they have included many subjects relating to witchcraft. I didn’t spend very long at the museum on Wednesday. I looked around, took the photos you can see on this post, then left to get that bus home. In the circumstances, I wasn’t really in the right head space for something quite so surreal. Although, thinking about it, maybe I was. Maybe I was in just the right head space to want to believe in miracles and magic and the outright impossible. And now I know where the Last Tuesday Society is, and what bus stops right outside, I will certainly come back there and hear a lecture or two in the future. It was my pleasure to take you into the museum. As you can imagine, things have been very difficult watching Hilary (my wife) go through her illness. I have been pleased to accompany visitors to Hilary's bedside as it has made my visits easier. What has pleased me more is that little bits of good have come out of it. I have seen some of Hilary's schoolfriend who have lost touch for many years come together at her bedside. I have made contact with those who I have not seen in years. I have seen friends from different aspects of our lives come in as strangers to each other and leave as new friends. The ability to walk around ten museum was a distraction, and a very welcome one at that. Once circumstances permit, we'll go back again. Maybe even raise a glass to Hilary afterwards. Thank you! I am so glad I got the chance to see her again - and yes, definitely raise a glass to Hilary!